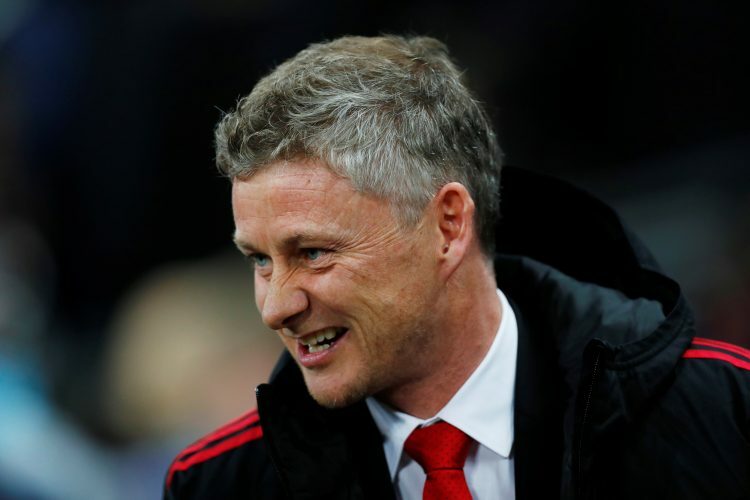 Now that Ole Gunnar Solskjaer has deservedly been appointment the full-time manager of Manchester United, he can finally begin making long-term changes to the squad as per his own liking and preferences. The Norwegian is expected to offload several players from the current roster as well as bring in apt reinforcements in the summer transfer window, so as to ready a team that he believes will challenge for major titles under his management. Despite the prolonged contract negotiations over a new contract, it seems unfathomable that the Mancunian outfit will let the Spanish international leave the club. Therefore, the 28-year-old is expected to retain his number one spot in Solskjaer’s lineup, and continue guarding the Old Trafford goal next season. With Antonio Valencia set to depart on a free transfer come summer, United are likely to dip into the transfer market to sign a long-term right-back. While many players have been linked with the Reds, Crystal Palace’s 21-year-old starlet Aaron Wan-Bissaka, who has been one of the brightest youngsters to emerge from the Premier League this season, currently appears to be the most realistic arrival at the Theatre of Dreams. Having shown immense improvement this season, under Jose Mourinho as well as his successor, the Swede shall without doubt retain his position in the heart of the team’s defence. Manchester United remain on the hunt for a world-class defender who could lead the side from the back and plug the leak in their backline. The prospect of spending big is imminent – the 20-time English champions are actually expected to break the world transfer record for a defender – and all the big bucks could very well be spent on Napoli’s Kalidou Koulibaly who, over the past two seasons, has developed into one of the best defenders on the planet. The 27-year-old Senegal international could very well be one of Solskjaer’s first marquee signings at the club. The Englishman has finally achieved the potential for which he was recruited in the first place. Further, Shaw has successfully evaded the unlucky injury curse this season, and under Ole, he looks set to once again dominate the left flank in the campaign to come. The Serb, now 30, has seen a drastic improvement in his performances under Solskjaer, and is therefore expected to retain his position as the pivot in the midfield three. However, with age soon catching up to him, it wouldn’t be a surprise if the manager starts introducing young talents like Scott McTominay and James Garner in Matic’s stead during the latter half of the campaign. Contradictory reports continue to maintain the confusion surrounding his future at the club. While some claim Herrera is eager to secure a free transfer to Paris Saint-Germain, others indicate he wishes to prolong his Old Trafford stay. Solskjaer would certainly prefer the latter, as the Spaniard has been splendid under his leadership, and would continue to be a key starter next season, provided he puts pen to paper. Despite the transfer speculation that was a direct result of his recent comments regarding Real Madrid, Solskjaer holding onto Paul Pogba is an absolute no-brainer. As the 45-year-old tactician had previously admitted, his team will be built around the Frenchman, and the upcoming 2019-20 season could really be the one to propel the star midfielder towards major trophies, both individual and collective. Sancho is being labeled as a dream signing already, not only due to his enormous potential, but also because the Reds desperately need a specialist forward on the right wing. Young, English, and pacey – this former Manchester City starlet has all the makings of a potential Manchester United legend, and Solskjaer will not hesitate to break the bank to catapult the 19-year-old straight into his starting lineup for next season. Solskjaer has already displayed his preference for this French talent. If Martial can genuinely maintain his form and fitness at the start of the upcoming campaign, nothing can stop the 23-year-old from running riot on the left wing for the entirety of the term. A certified Ole Gunnar Solskjaer favourite, the world will well and truly see the best of Manchester United‘s prodigious number 10 next season.